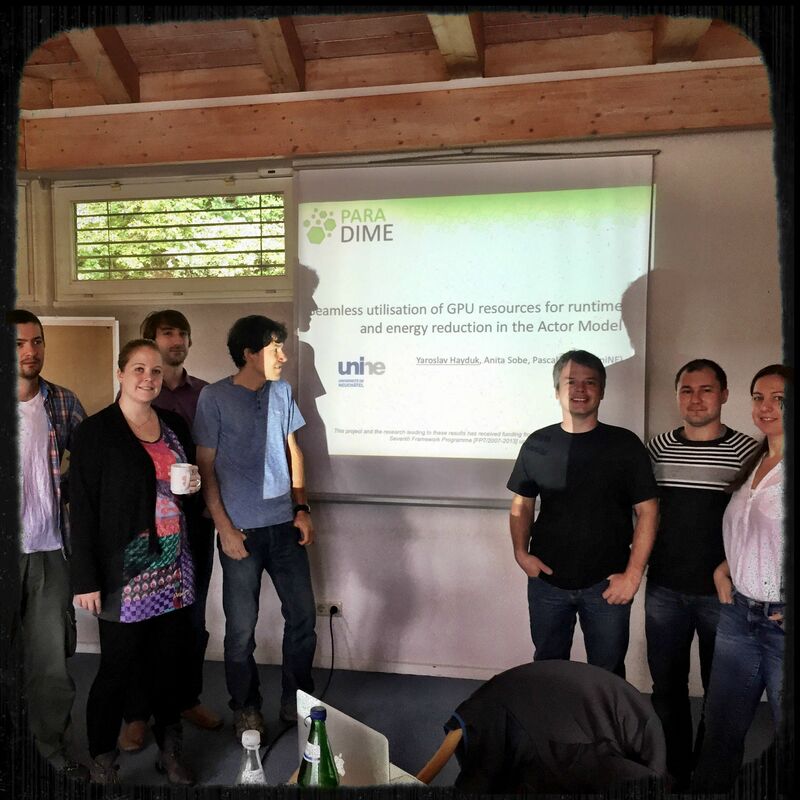 This year's PhD retreat was organized by the Dresden University of Technology (TUD), the University of Neuchâtel (UniNE), as well as the Braunschweig University of Technology. PhD students as well as post-docs had a chance to share their findings in fields such as SGX, Fault Tolerance, Parallel and Distributed Computing, Energy Efficiency and BFT. ParaDIME members gave talks and discussed about various challenges faced in the ParaDIME project. After attending the talks, participants had an opportunity to participate in the marshmallow challenge. In eighteen minutes, teams had to build the tallest free-standing structure out of 20 sticks of spaghetti, one yard of tape, one yard of string, and one marshmallow. The marshmallow needed to be on top. Out of 6 teams, only one team managed to build a standing structure. During one of the evenings, participants were also invited to walk to the local "Steinberg Alm zum Rösner" restaurant, where they enjoyed the regional German food. Overall, the retreat was a great success as it provided a wonderful opportunity to present research results as well as research plans to fellow PhD students.